Back in December, I was lucky enough to win an amazing package that included deluxe beauty products including things from Nuxe, Aromatherapy Associates and Elemis and lots more. I have only just started using the things I got so i’m slowly working through the reviews of them all. 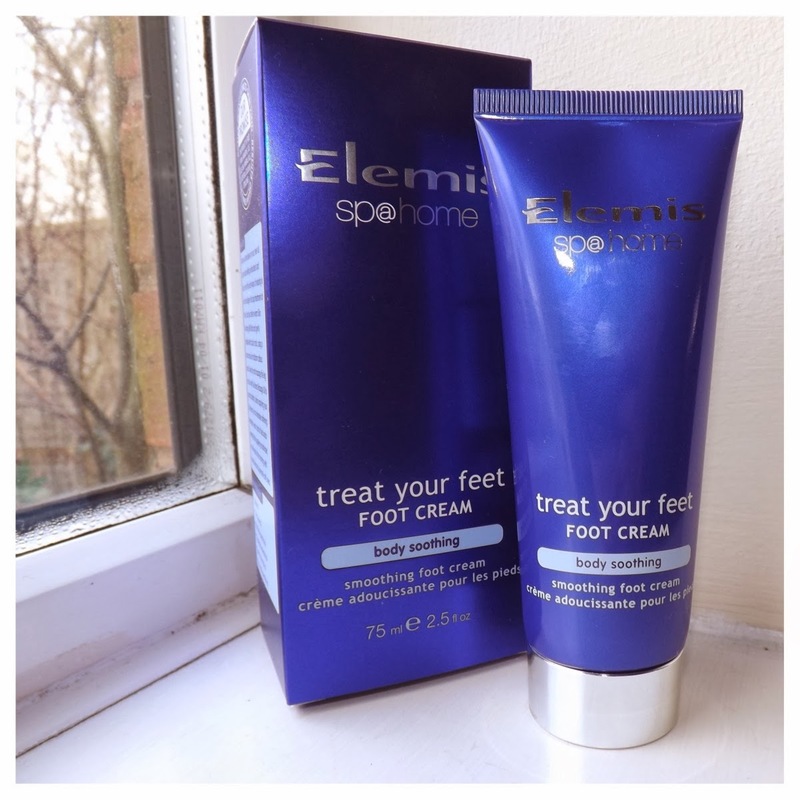 First up is of the Elemis ’Treat your Feet' Foot Cream as it’s the one i’ve been using most of. 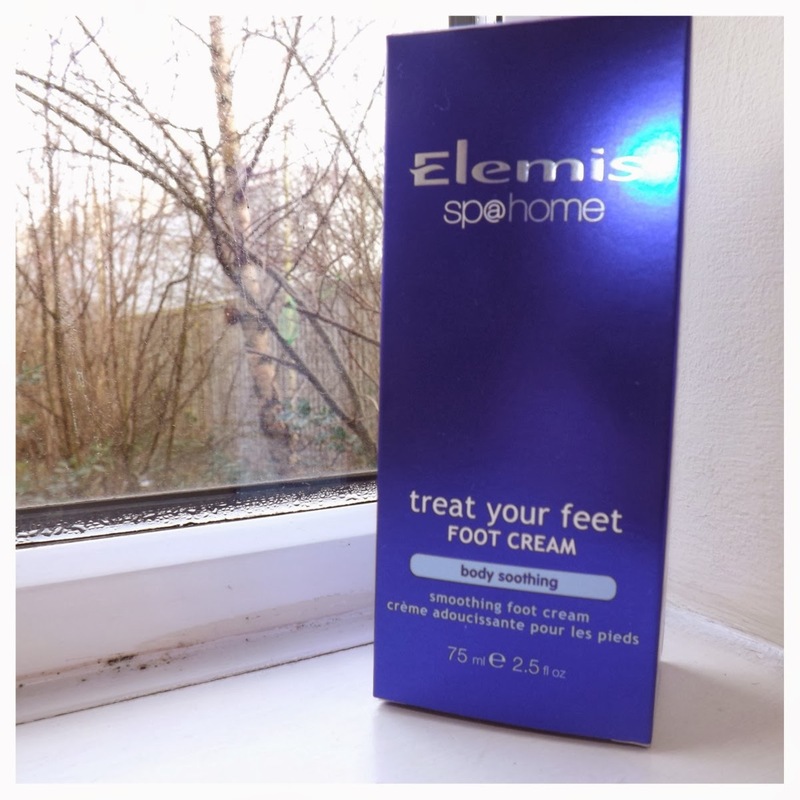 I love Elemis as a brand and the products of tried of theirs already have all been perfect and i’ve enjoyed every single one of them so I was happy to find that the foot cream was going to be another to add to the list. 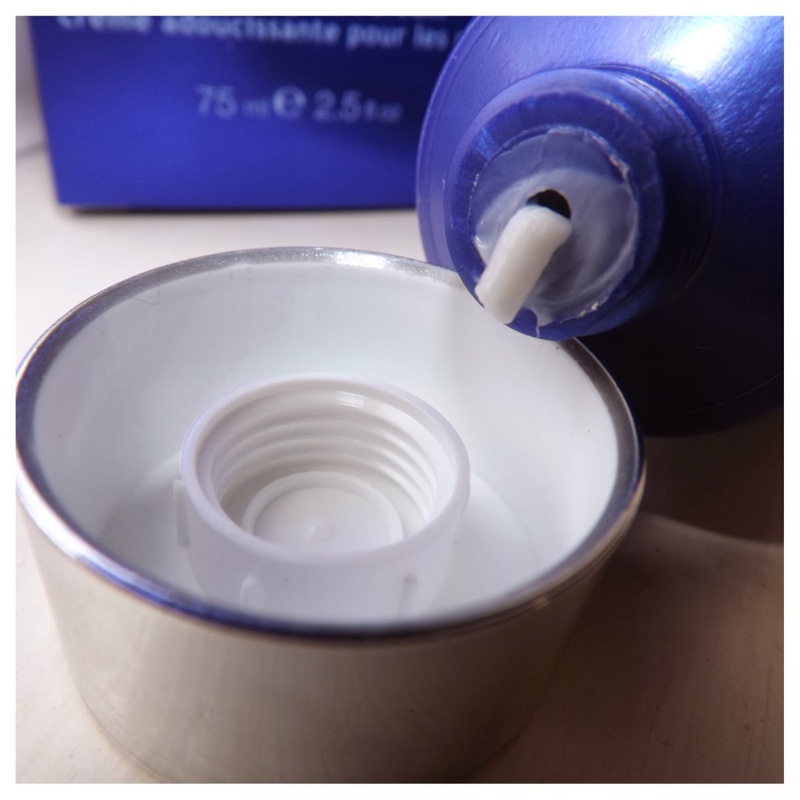 I get such dry feet when i’ve had a bath or shower and find it hard to get a moisturiser to do it’s job properly and stop them from feeling dry and going flaky but the moment I started using this cream, they instantly felt better! It’s such a rich consistency and super thick and creamy - perfect to massage into achy feet. It has a slight fragrance, a little of how foot cream generally smells but it’s kind of nice at the same time! 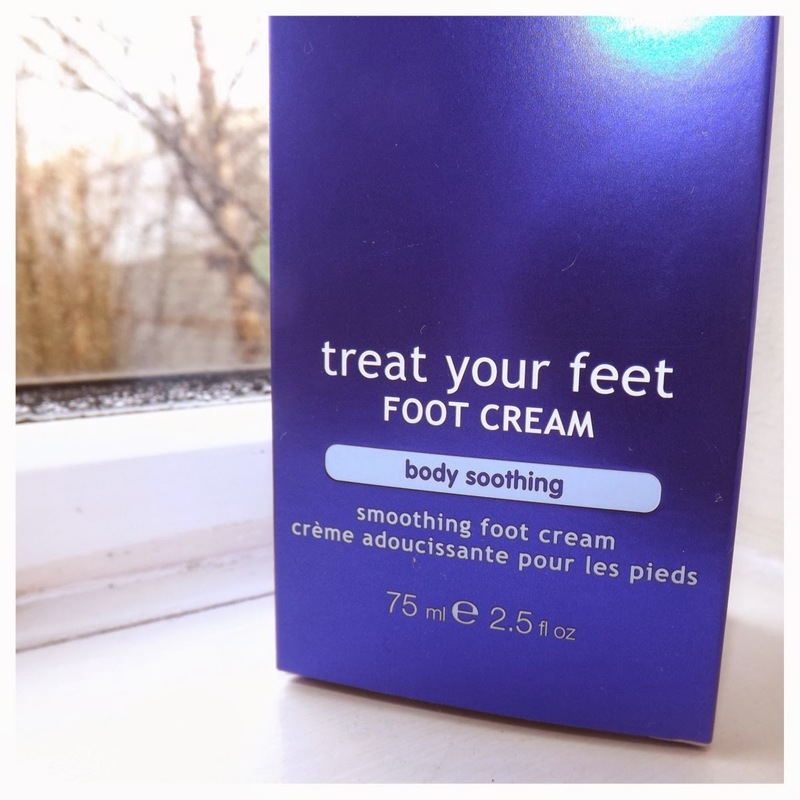 If like me, you suffer with really dry feet and struggle to find a good, nourishing foot cream, i’d definitely recommend you give this a go as i’m really loving it! I use it every time I get out the bath or shower and just let it soak into my tootsies! I can really see the difference already after only a few weeks of using it! You can buy it here for £18.00 or from your nearest Elemis stockist. Have you tried this before?! 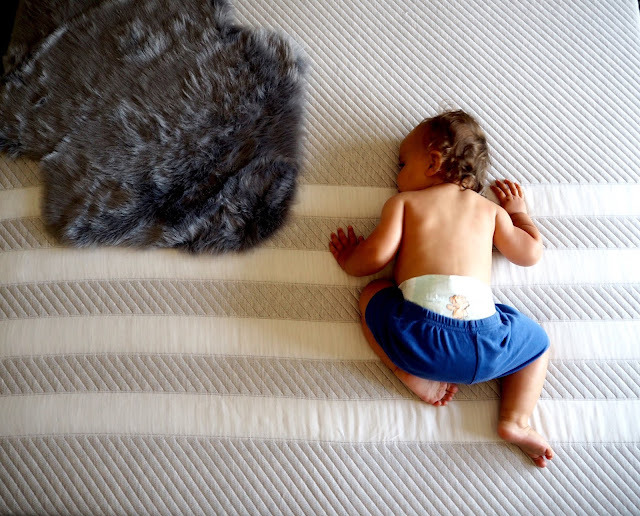 Great review :) I love your blog! I have recently fallen in love with Elemis products. 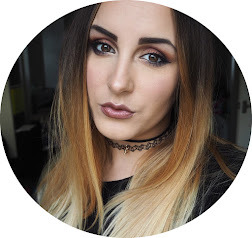 Have you tried the Skin Brilliance range for the face ? I got a great set for Christmas.